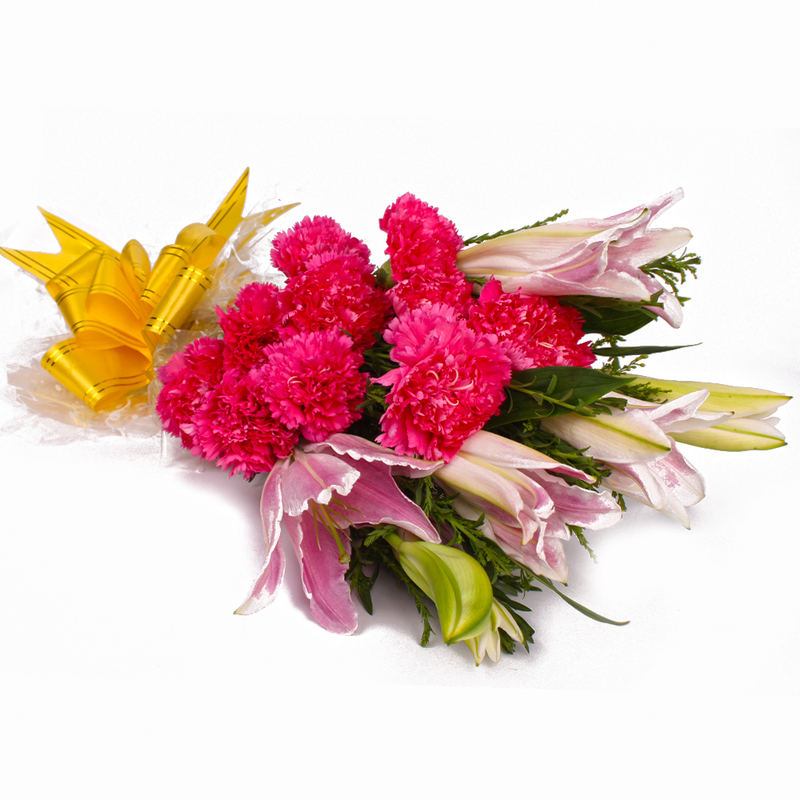 Product Consist : Fifteen Stem of Mix Flowers like 10 Pink Carnations and 5 Pink Lilies in Cellophane Wrapping and Ribbon bow on it. 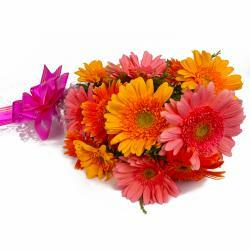 Presenting gorgeous flowers to the one you admire and love is the best way to make your heartfelt emotions delivered. 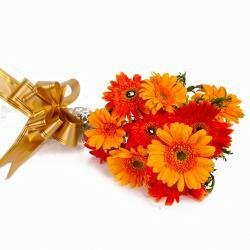 Whether it is a love filled occasion like Valentines Day or Anniversary, Birthday, Karwa Chauth any other celebration like Birthday, Anniversary, and flowers will work best. 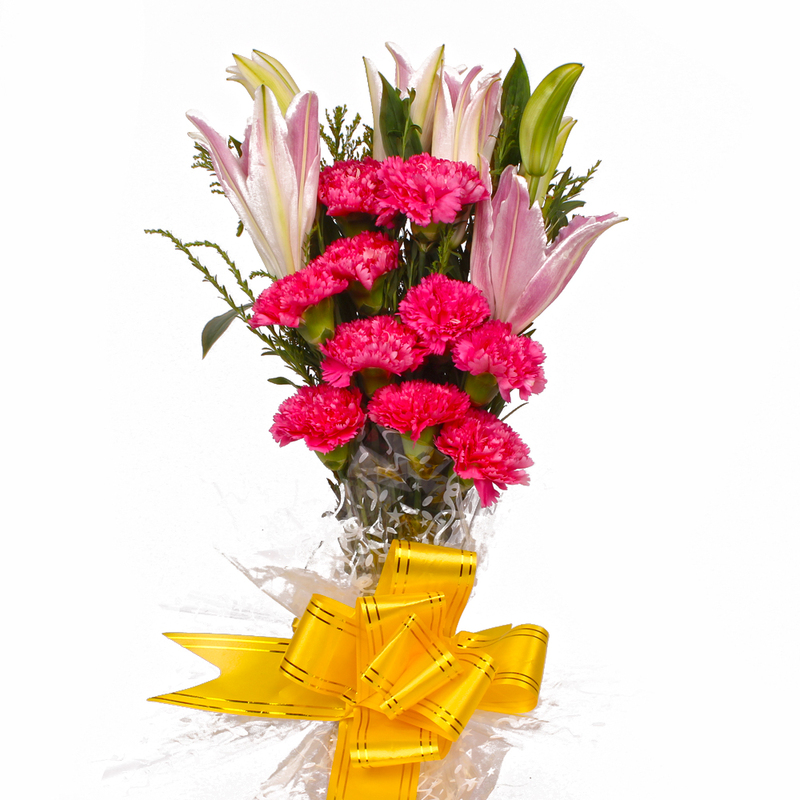 When you present this bouquet of carnations and lilies to anyone, it not only looks premium but also much exclusive. 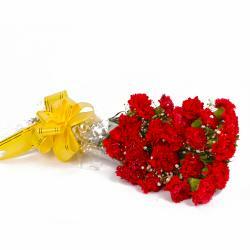 So go ahead with buying the bunch of carnations and lilies wrapped in cellophane beautifully. It will be the best gift for anyone in your friends or family. 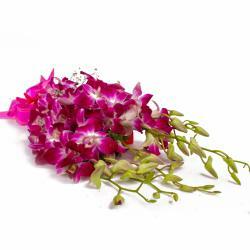 Product contains : 15 Stem of Mix Flowers like Pink Carnations and Pink Lilies in Cellophane Wrapping and Ribbon bow on it.